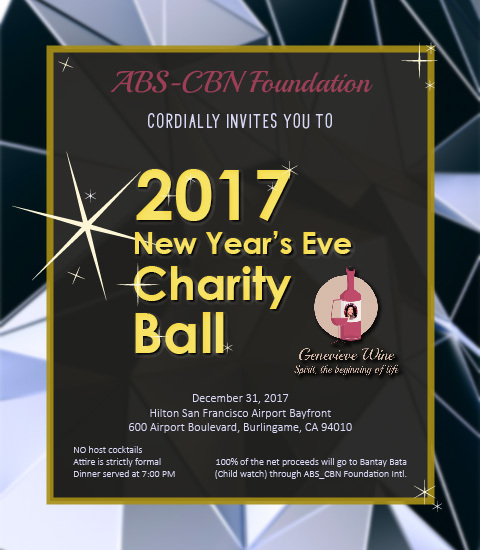 Come enjoy Genevieve Wine at the 2016 New Year’s Eve Charity Ball hosted by ABS-CBN Foundation International and Maribel Lalongisip. Genevieve Wine will be donating our wines to the event and will be giving out RAFFLE PRIZES! !